When you are awake and working at the office or moving around in your car, you use up most of the energy generated by your body. You use all your physical and mental strengths for various types of physical and mental work. If you do not give your body enough rest, it will eventually break down and you will fall ill. The best way to allow your body some rest is to sleep properly for at least 8 hours a day. Many people fail to sleep peacefully and often end up spending sleepless nights. This is a major cause of several health issues. Without proper sleep, you may suffer from heart ailments, high blood pressure, stress, and depression, to name a few. 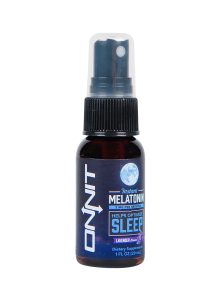 As the name suggests, the ONNIT Instant Melatonin Spray is useful in helping you fall asleep peacefully. Melatonin is a type of hormone which your body secretes in order to regulate your natural biological clock. When the level of secretion of this hormone is relatively high, it means it is time for you to go to sleep and let your body rest properly. 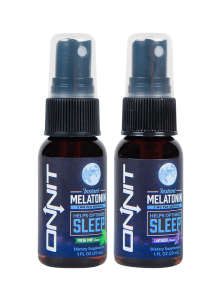 This product allows you to have a proper dose of melatonin orally with the help of a spray. It assists in your body’s natural desire to sleep and rest. This product is available in two exciting breath-freshening flavors, mint and lavender. Adults are recommended to follow a dosage of 6 sprays before going to sleep. However, if you are pregnant, on a regular medication or nursing, it is better to take the advice of your doctor before having it. May not work for every person. Could have included more ingredients apart from melatonin, which is the only ingredient in the spray. If you suffer from insomnia, you must have read or heard about several ways that can help you improve your sleep. Unfortunately, only a few of them work in reality. Here are some of the tried and tested ways to improve your sleep and help you get over your problems related to insomnia. Try and limit your exposure to blue light during the night. If possible, use a blue light filter on your laptop and phone. Have loads of water during the day and remain mineralized and hydrated. Proper intake of water can help you fall asleep very easily. Try and maintain a safe distance from electrical devices with a high output. When you prepare to go to bed, pull all your curtains and block out windows in your bedroom. This will help your body maintain a high melatonin level until you are ready to wake up. Sleep in very important for every person. Unfortunately, most of you fail to follow proper sleeping hours due to heavy work pressure. Nonetheless, try and follow a set routine so that your body gets acclimatized to the time and falls asleep automatically.